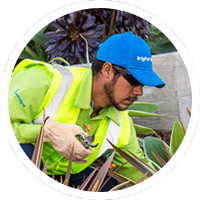 BrightView was recently formed through the combination of landscape industry pioneers and leaders, Brickman and ValleyCrest. This defining event united more than 140 years of experience, an extraordinary portfolio of high-profile projects and clients, and a vast, national network of expertise and innovation. As one and true to our name, we’re reinventing the industry while affording our 22,000+ team members access to the most comprehensive training, resources, benefits, mentorship, and opportunities for career advancement. A brighter future is in your hands. We are currently looking for landscape laborers. BrightView Landscapes, LLC is an Equal Opportunity Employer.